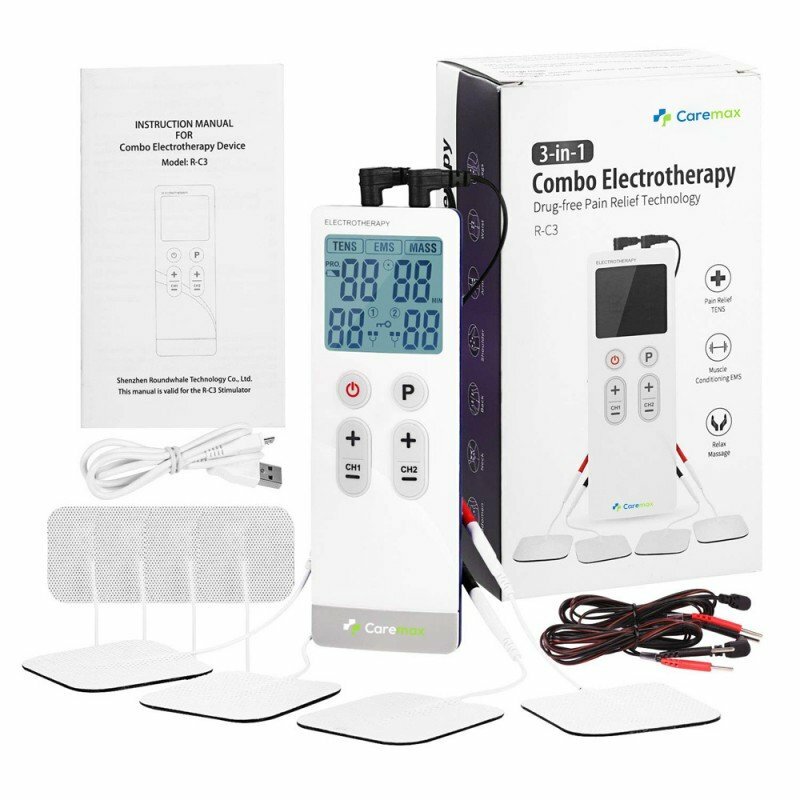 Our 3 in one TENS, EMS and MASSAGE Combo Unit is an all-round player in the current market. 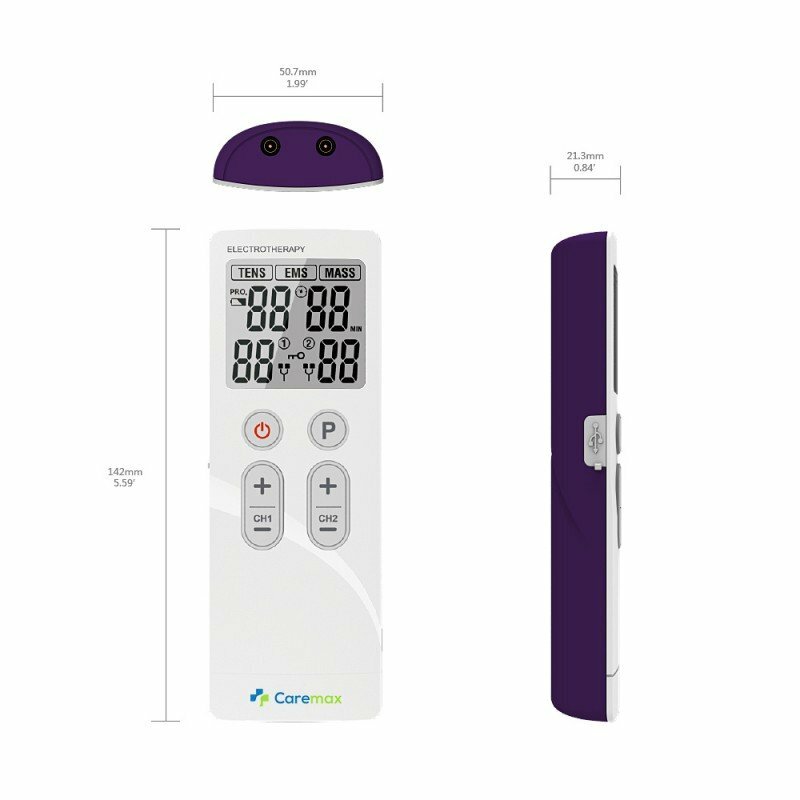 This unit has preset programs by body part, as well as the ability for you to customize settings of pulse rate (2Hz-100Hz) and width(100uS-300uS) just like in the doctor's office. 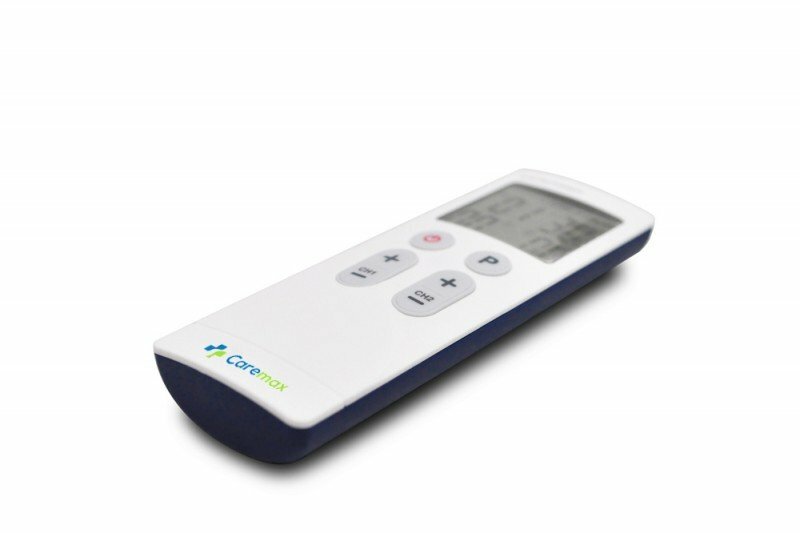 This unit also has a quality RECHARGEABLE LITHIUM-ION BATTERY. 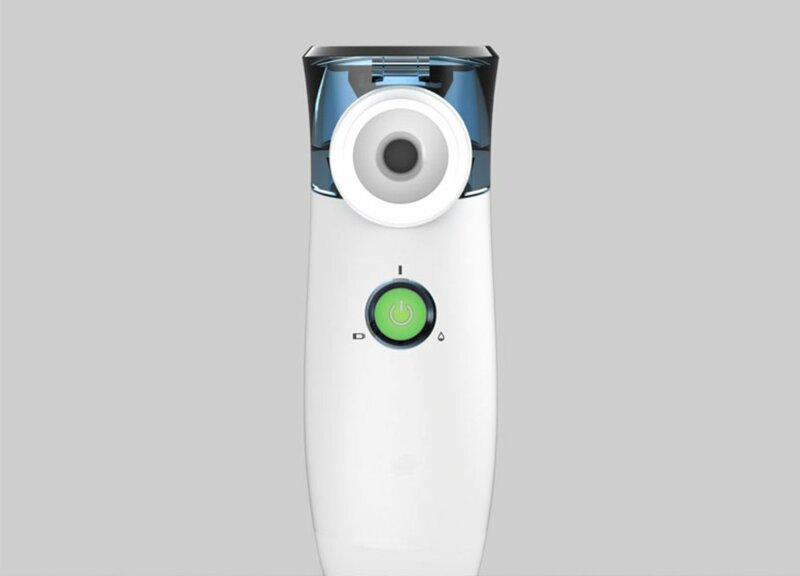 You can use it at home or on the go, without having to replace tons of batteries. 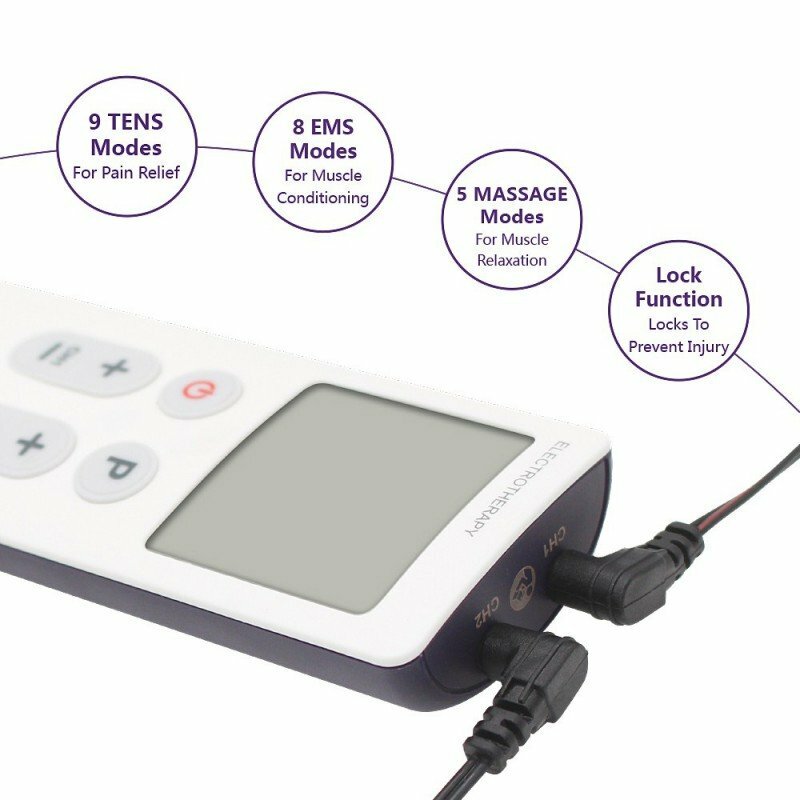 This device has the most innovative, up-to-date TENS and EMS programs and waveforms available to provide effective, noninvasive pain relief and muscle strengthening. At a fraction of the cost, you can get a soothing massage device for both chronic and acute pain in the comfort of your own home or even while traveling or at work, It is also designed specifically for the patient to help speed recovery from Sports, Injury, Surgery, Pregnancy and other Trauma away from the physical therapist office. 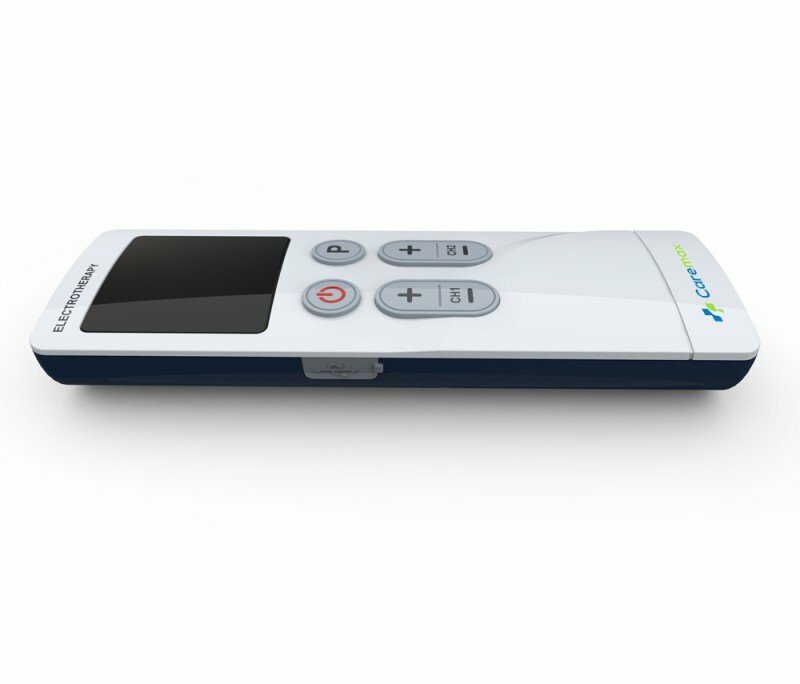 Simple and convenient buttons, Large back-lit LCD screen, all operations can be done with one hand. It comes with everything you will need for immediate use. 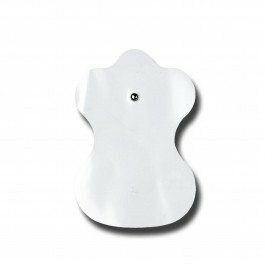 It has the same intensity and functions as the units in the office, so you will achieve great results and save time and money. 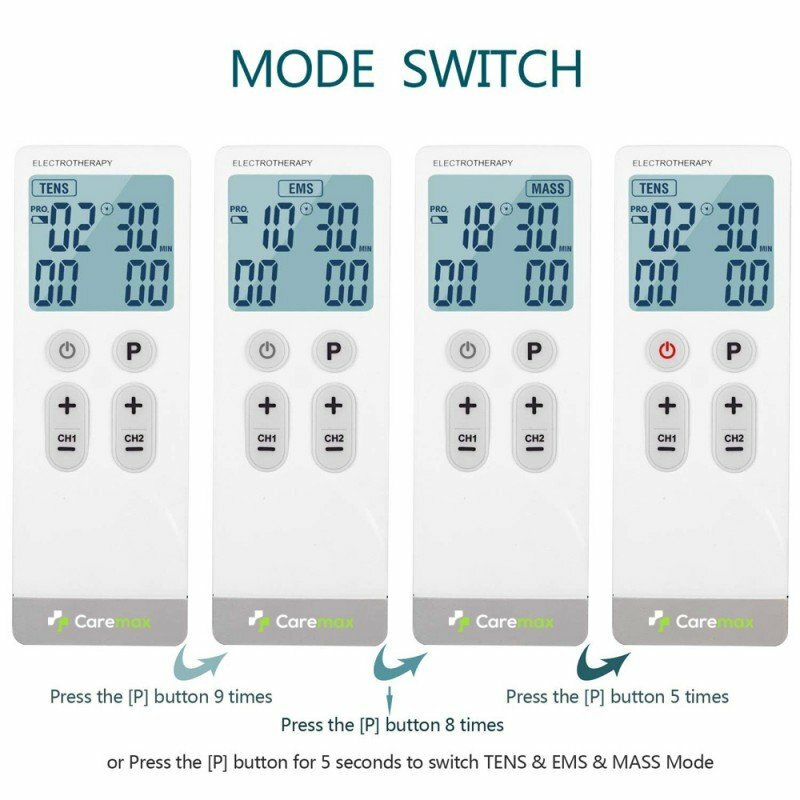 3 in 1 TENS+MASS+EMS: the professional natural and highly effective electrical stimulator device with muscle and nerve stimulation and massage effect. 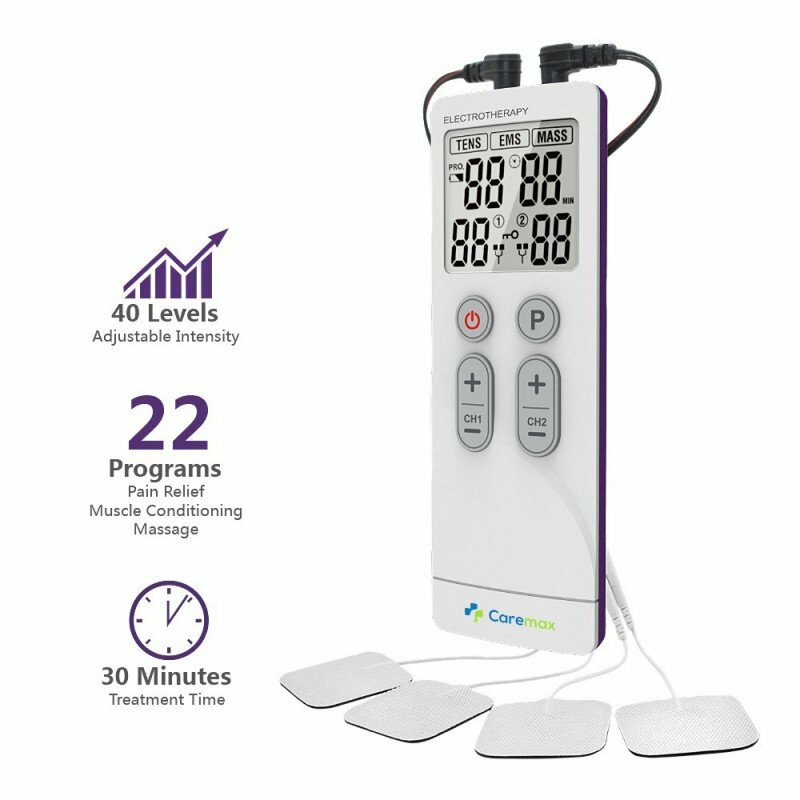 The sleek and stylish design with professional grade powerful pulse intensity makes it suitable not only for pain relief and muscle relaxation but also for muscle recovery and pain management for amateur and professional athletes or regular exercisers. 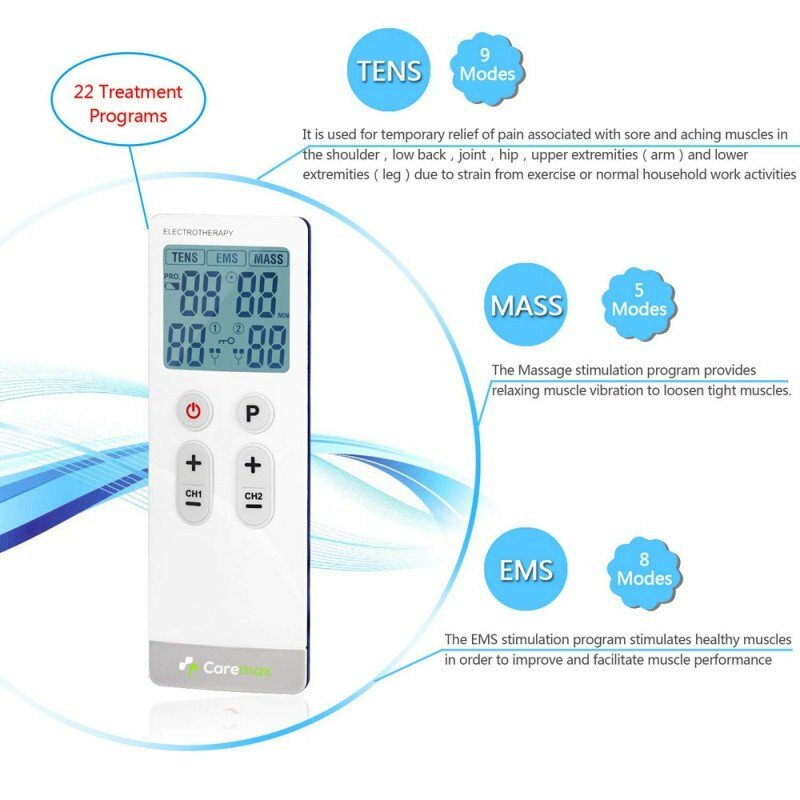 22 Treatment Modes： (9 TENS+8 EMS+5 MASSAGE) aim at Muscle groups and joints in different parts of the body. 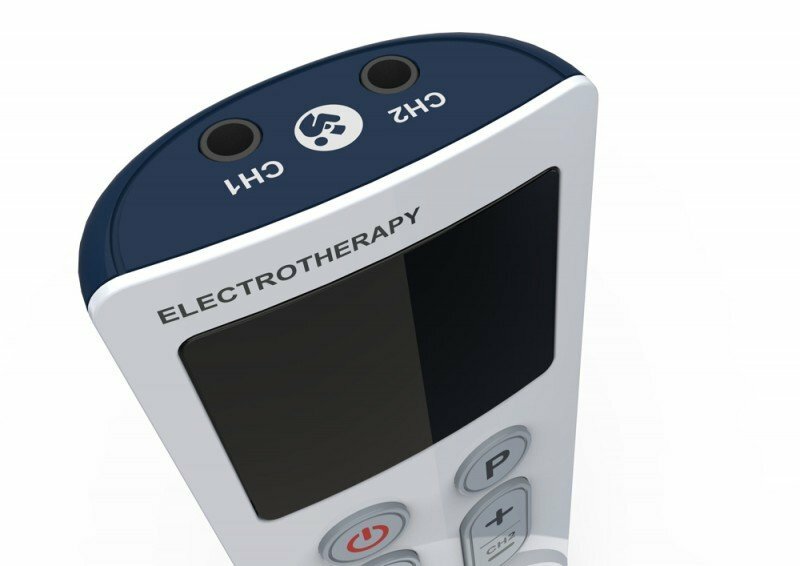 Each treatment mode sets up a variety of pre-programmed combination therapies (Knocking, Kneading, Shiatsu, Vibration, Tapping, Acupuncture, etc.) based on the treatment needs of different body parts. 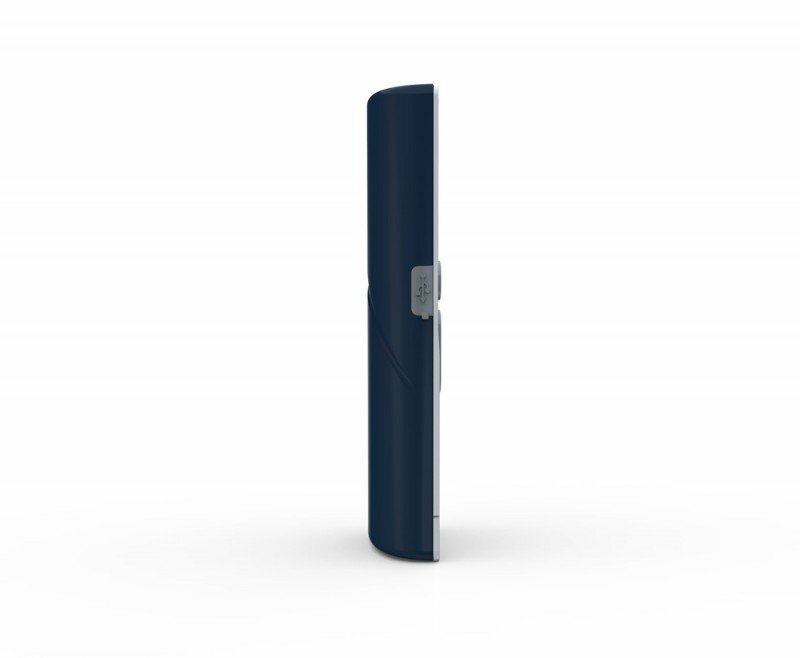 RECHARGEABLE BATTERY: Rechargeable lithium-ion battery through USB. 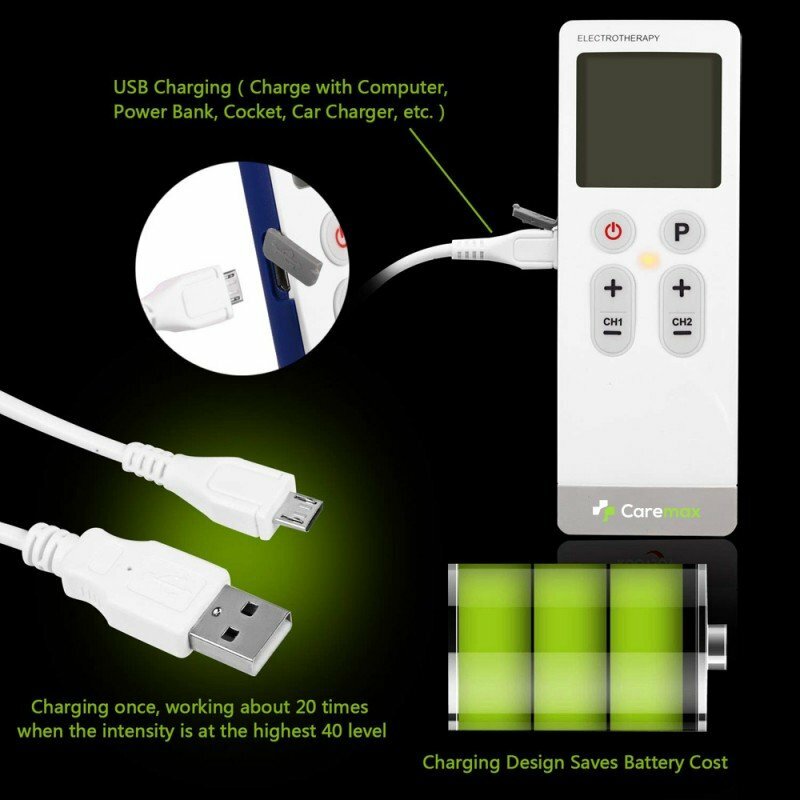 Save a lot of your battery costs, you can charge with computer, Power Bank Car Charger etc. 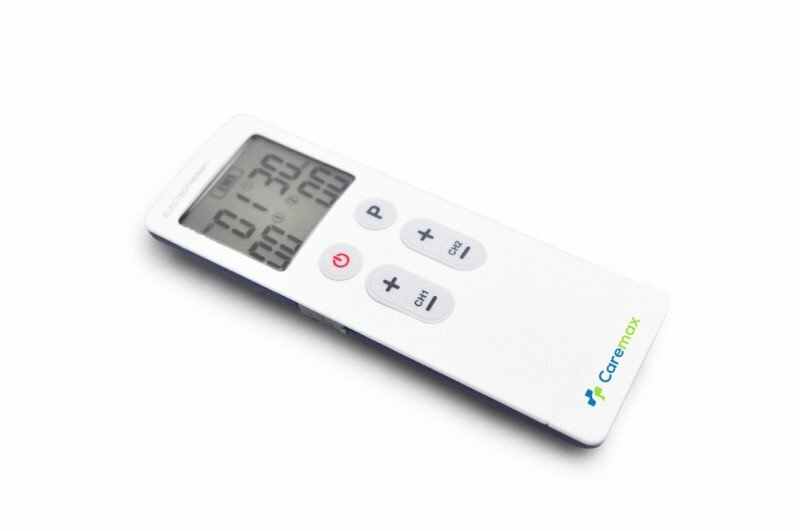 When the unit is fully charged, you can use up to 20 times when using the highest intensity levels. 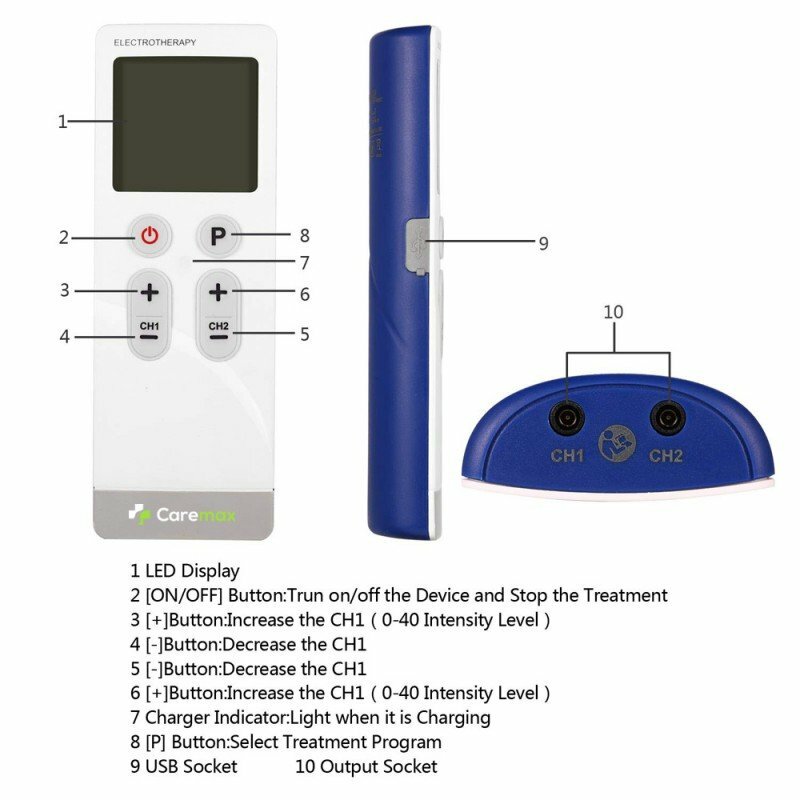 User defined Treatment; You control the program, adjust intensity (0-40mA), pulse width(100uS-300uS), and pulse rate(2Hz-100Hz) - just like at the doctor's office. You can customize your treatment based on your specific goals. 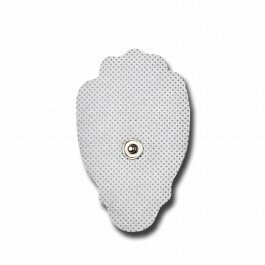 There are six customized programs for 6 different parts of the body allowing you to find the setting with the most relief. 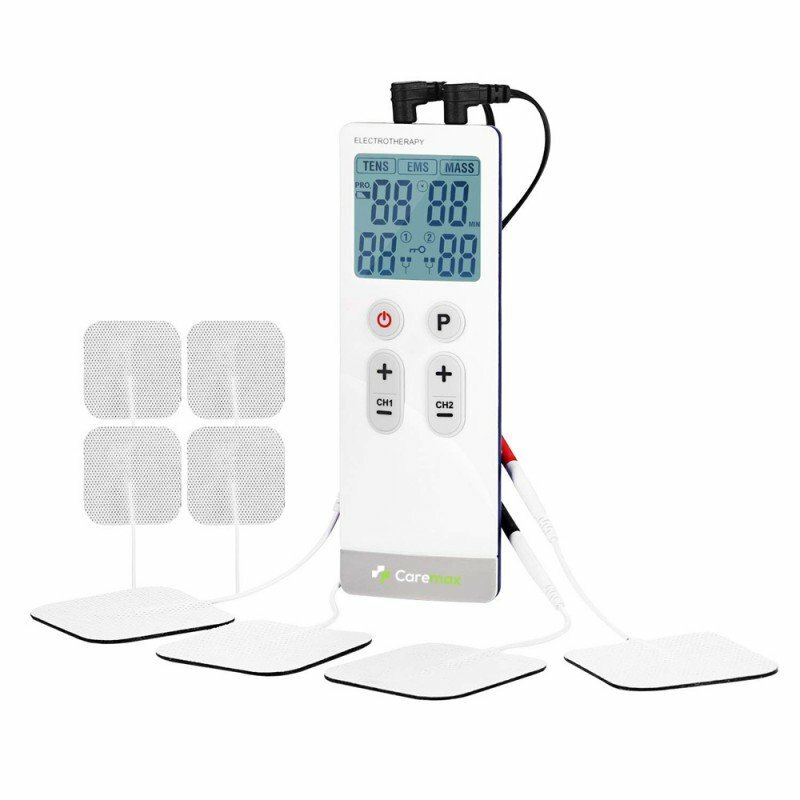 2 Isolated CHANNEL OUTPUT: the unit offers a wire for 2 output with 4 electrodes in order to expand the treatment area, such as to cope with abdominal or large muscle areas. The 2 outputs are isolated and has the same 100% power, without reducing strength in half. The 2 output have independent intensity adjustment with 1.2 meters wire. 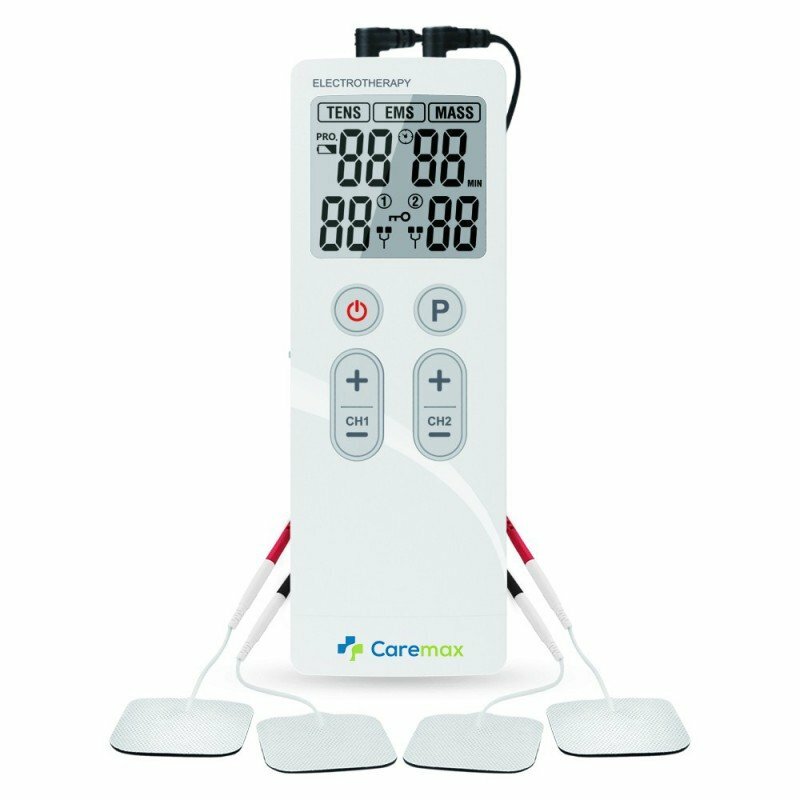 POWERFUL INTENSITY: The pulse amplitude, or intensity level, is adjustable in 1mA increments for precise treatment. 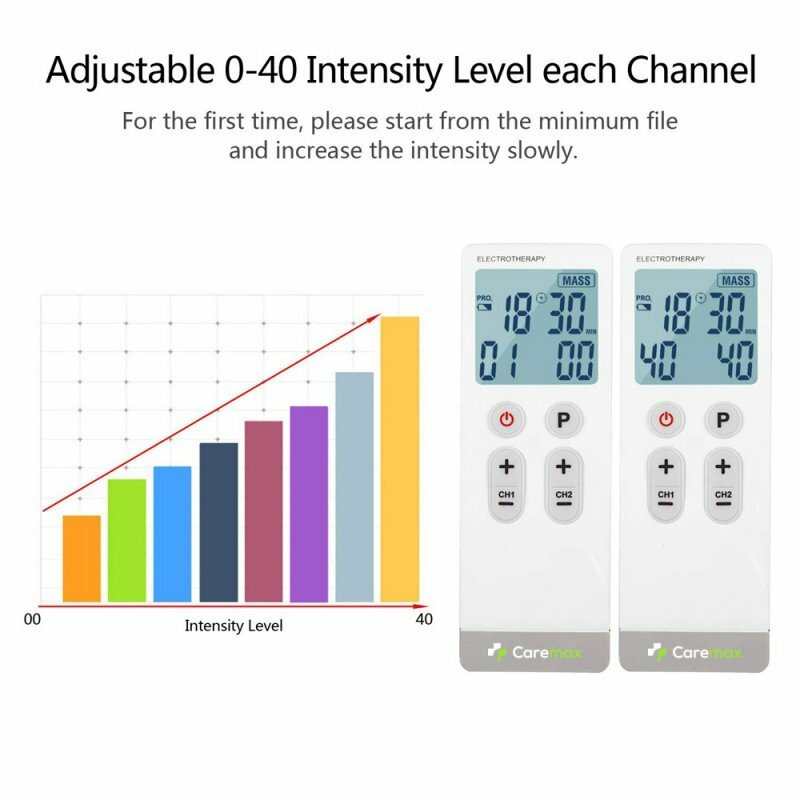 40-level intensity can cope with more severe pain. 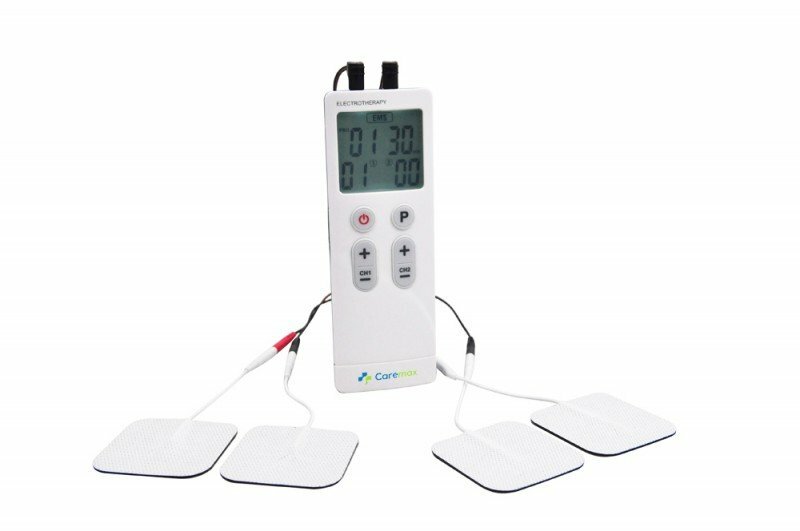 With this 3-in-1 unit, you have complete control over timing, pulse rate, pulse width, intensity, and more. LONG SERVICE LIFE: Electrode pads are made in Japan, which can provide better self-stick performance. 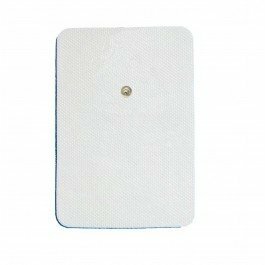 These self-adhesive pads are very flexible and do not require additional creams or gels. 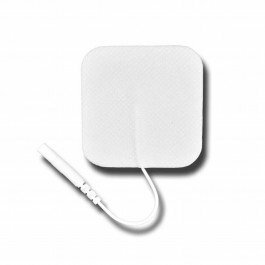 It has a thick layer of non-irritating conductive gel to reduce allergy risk. 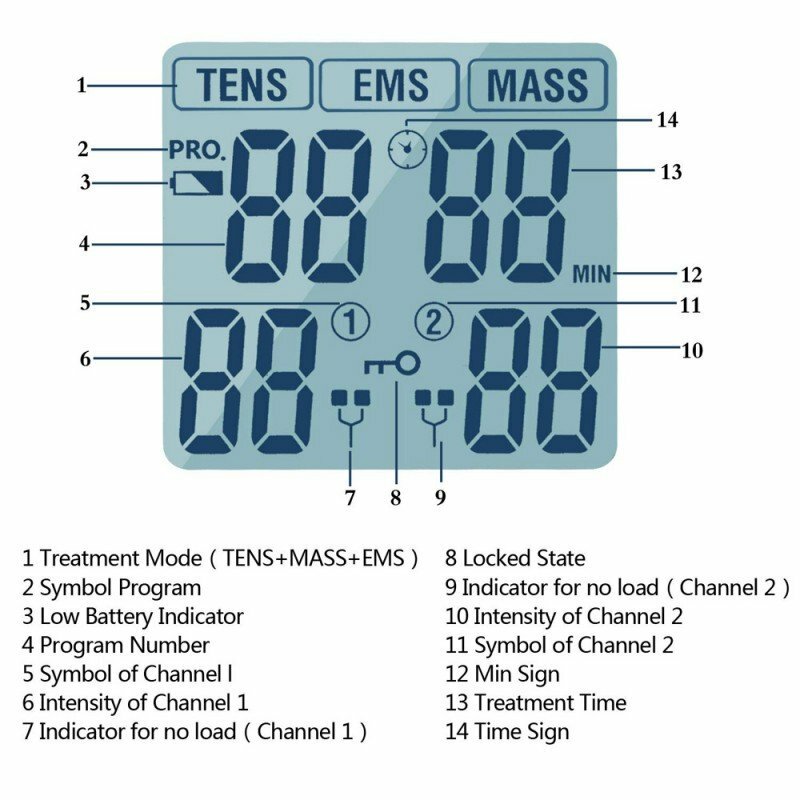 The settings of body part, mode and pulse settings can be easily adjusted through the display. 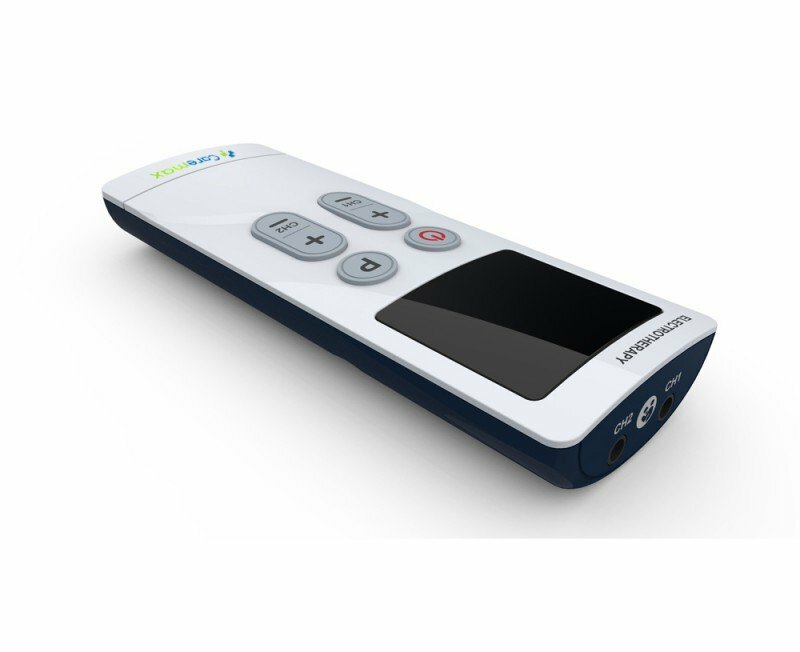 Large size and super-high-definition LCD screen make it easier to read and operate especially for the aged.